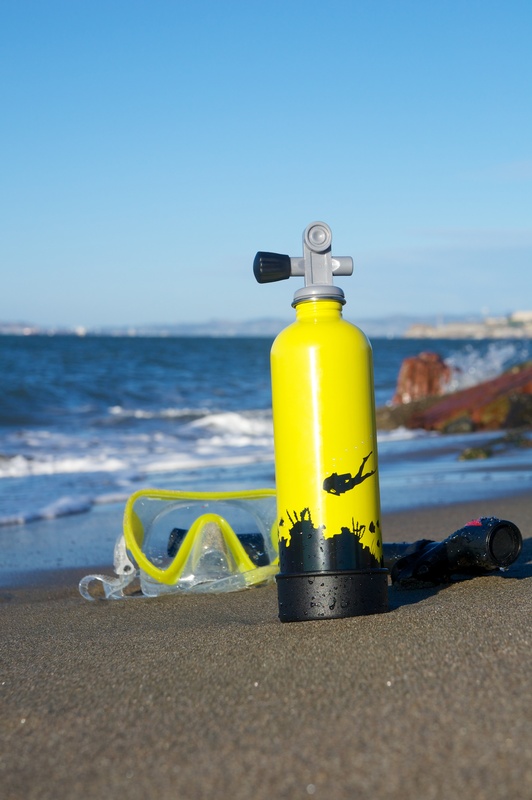 Being properly hydrated, but not excessively so, is an important safety factor for divers. According to Associate Professor Neal Pollock "proper hydration helps promote effective circulation, thermoregulation and decompression health." It is worth noting, however, that you shouldn't over hydrate. Excessive hydration brings its own problems, ie, potentially increasing susceptibility to immersion pulmonary edema. So how can you reduce your use of 'one-time plastic' and stay hydrated in a fun way? 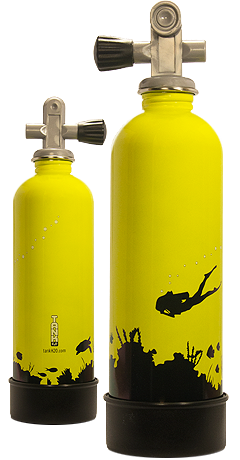 Tank H20 has developed a stainless 18/8 stainless steel water bottle with BPA-free plastic cap for divers and lovers of ocean adventurers. The durable bottle holds 750 mL / 26 oz of fluid and is good for cold drinks only, ie, it is uninsulated. Tank H20 recommends that you hand wash the bottle.